The best kind of holidays are those that leave you so exhausted at the end of the day from all the physical activity and adrenalin rushes. 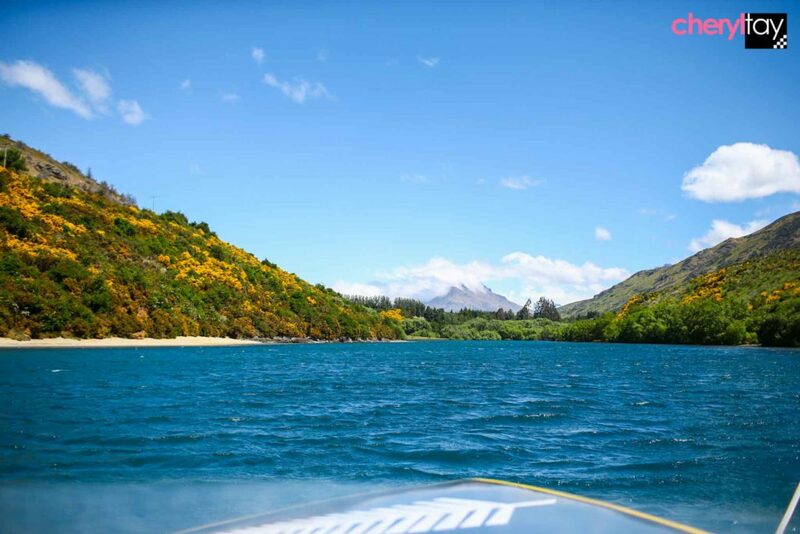 When I set off for my adventure of a lifetime in the South of New Zealand, I was filled with excitement because I had an entire week ahead of nothing but thrilling activities not for the faint-hearted. I flew on Air New Zealand to Auckland first and it’s a 10-hour flight, with only one flight a day. You leave in the morning at 9am and by the time you get there it’s nearly midnight (five-hour time difference). To make yourself more comfortable, try the Premium Economy class! 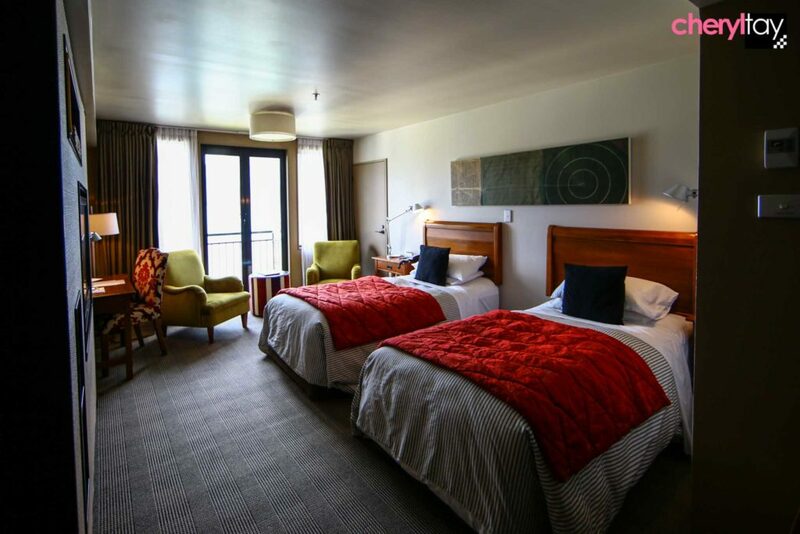 Hence I stayed at the airport hotel for a night before taking a domestic Air New Zealand flight to Queenstown. Well, the lack of sleep was certainly more than compensated for when I was greeted by the STUNNING views as we flew into Queenstown. You will definitely see this lake when you are flying into Queenstown. The views are AMAZING. 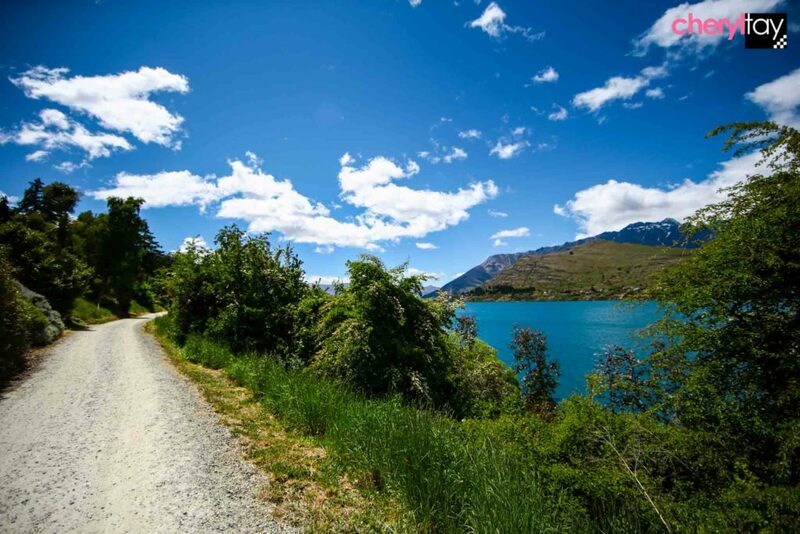 After landing and collecting the rental car from Budget, the first thing I did was take a walk along the Frankton trail to soak in the mesmerising views of Lake Wakatipu. 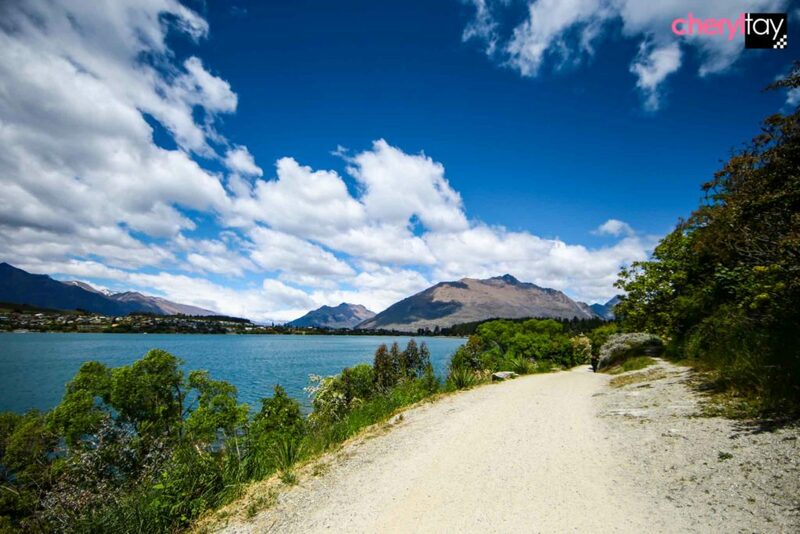 You can choose to cycle or walk and the trail is relatively flat so it’s easy, and the views across to the Remarkables and Kelvin Heights are beautiful that you find yourself stopping all the time to get photos. 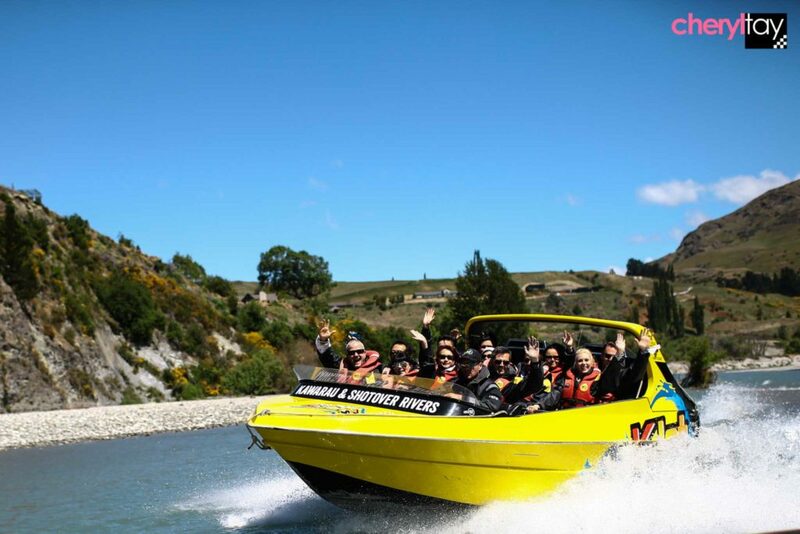 To get closer to these views, take the K-Jet, a commercial jet boat operation which will take you on an hour’s ride across Lake Wakatipu, Kawarau River and Shotover River. Expect to get wet here (especially if you’re in front or on the sides) as the driver does 360-degree spins! They will give you these black raincoats to wear, so pics of yourselves might come out a tad ‘un-glam’. Tip? Just focus on the views LOL! 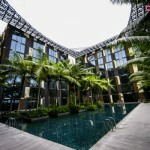 OMG prior to this, I’ve done the AJ Hackett bungee jump in Macau (233 metres), the AJ Hackett Sky Jump off the Auckland Tower, a 50-metre bungee jump off some crane in Phuket and skydiving but I was still bloody nervous. 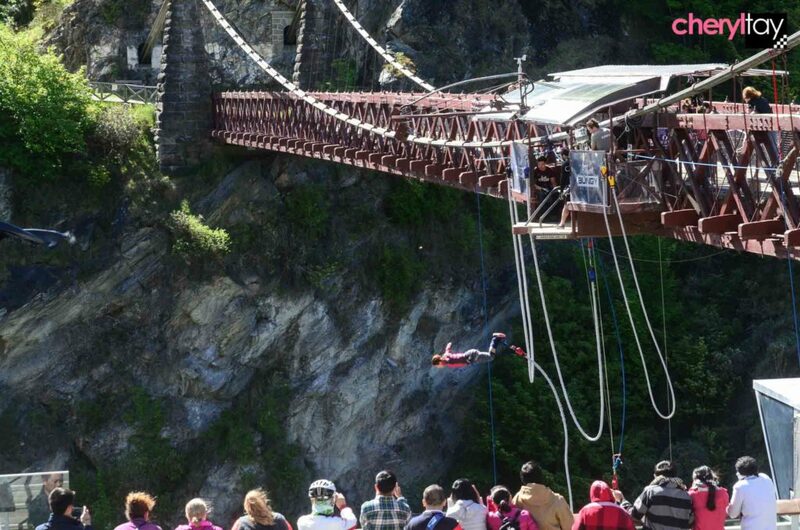 This one here, a 43-metre jump off the bridge, is the first bungy jump in the world since 1988. 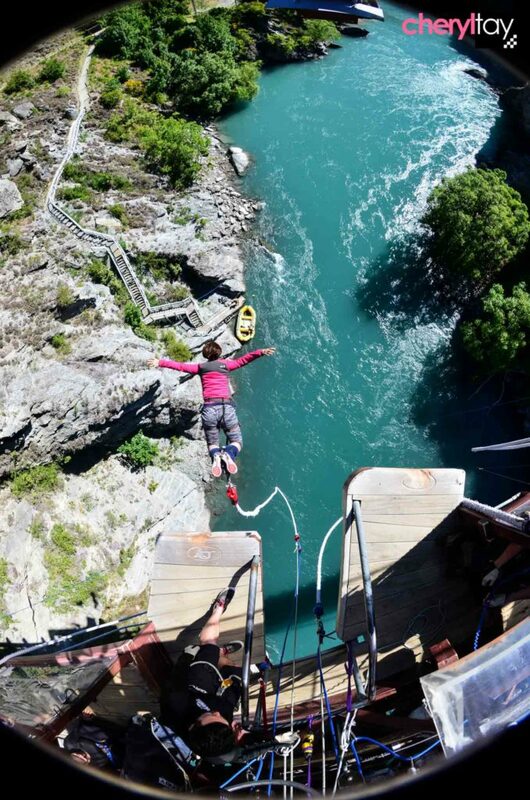 It’s done in a natural setting with the rushing river below you, thus having nice views for your jump videos and photos (which you have to pay for and it’s not cheap)… but nope it doesn’t make you any less scared. When I was there, it was quite crowded so I had to wait in line for my turn and that made me more scared!! You can tell them that you want to touch the water and they will adjust the length of the rope accordingly. I touched the water, whoop whoop! 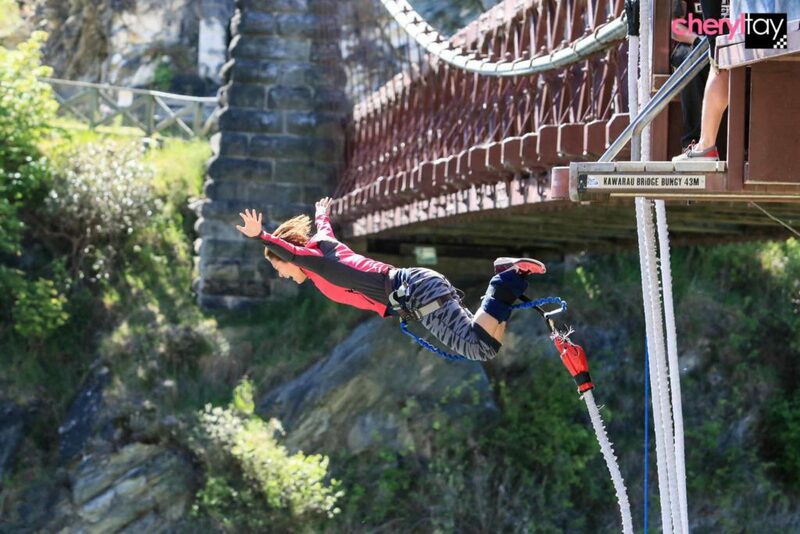 Btw, if this isn’t challenging enough, there is always the 143-metre bungee jump a drive away, called The Niven. Good luck on this one. 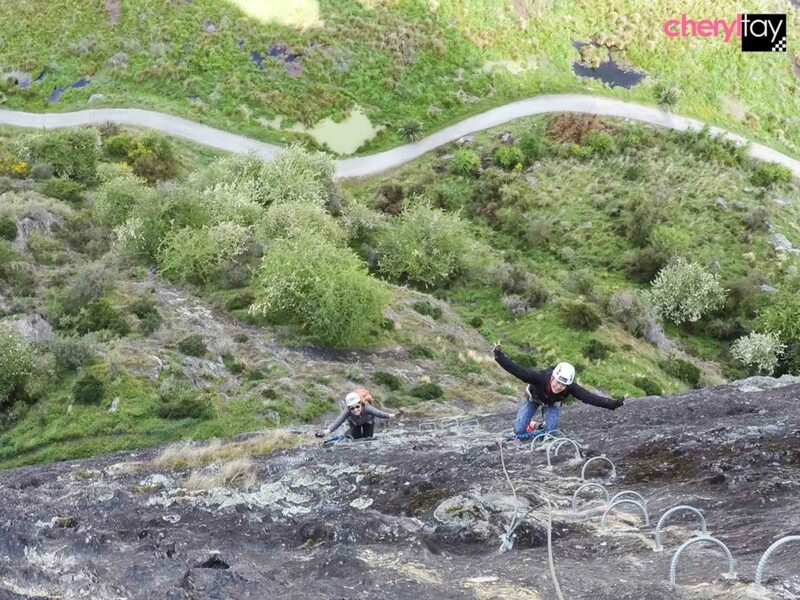 Another heart-pumping activity is the Via Ferrata, an alternative to rock climbing offered by Climbing Queenstown. 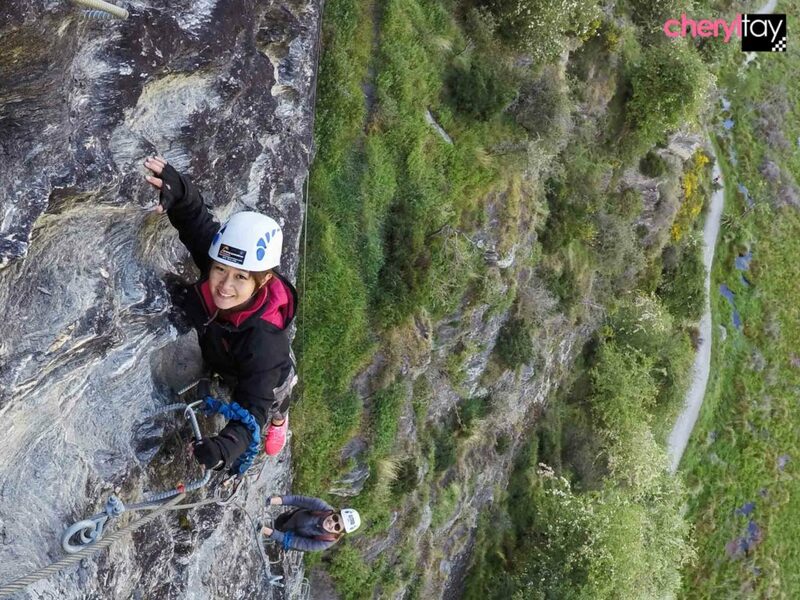 Instead of scaling the actual rocks, you use this Via Ferrata system (of carabiners and cables) to climb rungs that fixed into the sides of Queenstown Hill. I was initially damn scared, because if you don’t hook the carabiners onto the rungs properly, you will end up plunging to your death below. My hands were shaking as I clipped the carabiners from rung to rung. But trust the system and provided you secure it correctly, even if you slip, the cables will catch you. Also, there is a guide with you so you don’t have to do it alone. He will take you up to about 400 metres and my advice is not to look down at your feet too much. This makes a DAMN NICE Facebook cover photo. The Onsen Hot Pools is located at the bottom of Coronet Peak Ski Field and is a short drive from Queenstown. 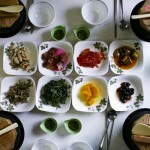 It is also very popular so make your reservation early! 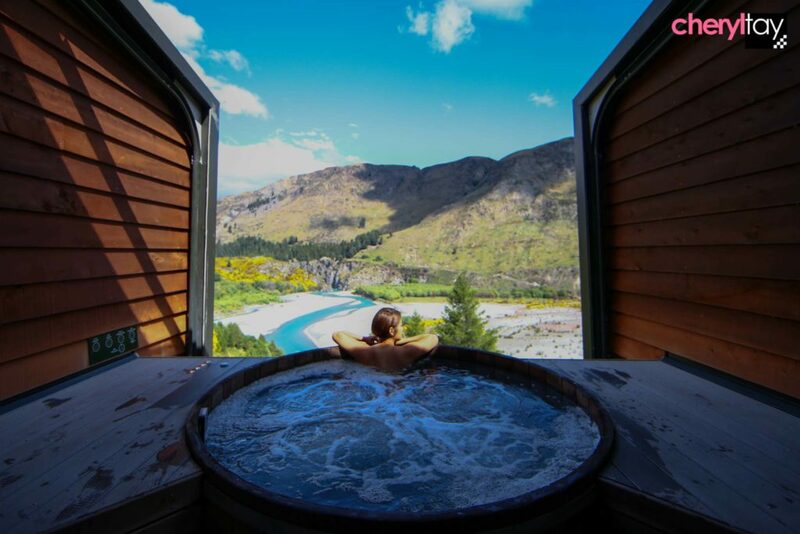 The private hot pools are indoor and you can be completely naked, but you can open up the retractable roof to get the best view like this. Water temp is about 38.3 degrees! 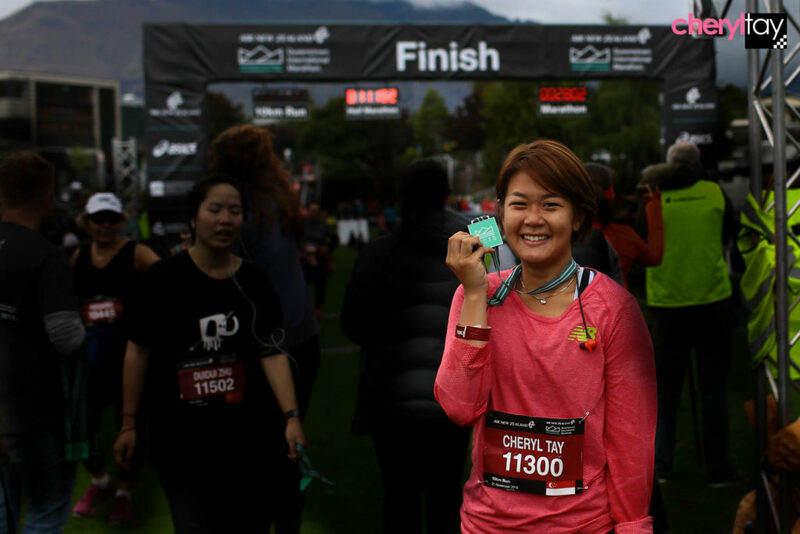 Every year, there is the Queenstown Marathon and I took part in the 10km event. 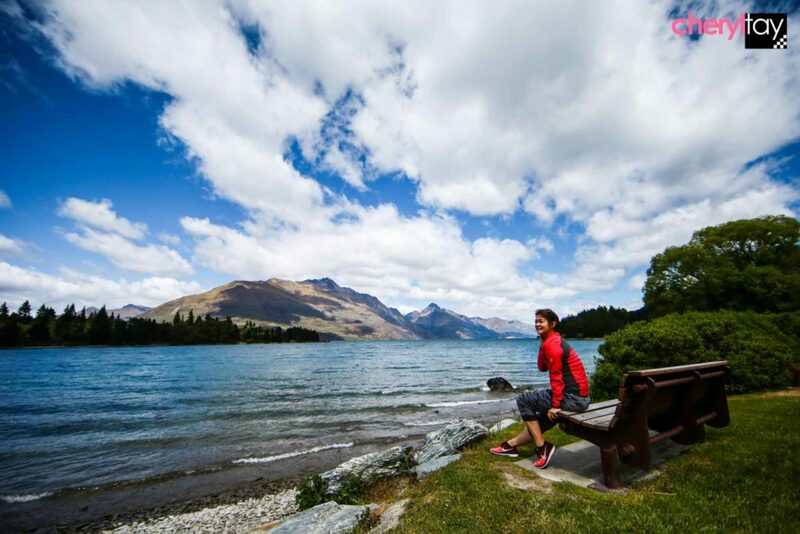 This was my first time running a race overseas and I enjoyed the scenic route which included the Frankton and Queenstown trails. The same breathtaking trails that I couldn’t get enough of! It was bloody cold in the morning (like -8 degrees) and I was freezing under five layers of clothes, brrrr. Once the sun came out and we started running, it became better and I instantly regretted wearing so many layers LOL. I saw other runners pass their outer layers to their supporters on the side but I was alone so I only managed to take off my jacket and tie it around my waist. The good thing about running in such cooling weather means it’s less painful to run, plus the atmosphere was amazing with lots of people cheering you on as you run. This world-famous gourmet burger is a must-eat. 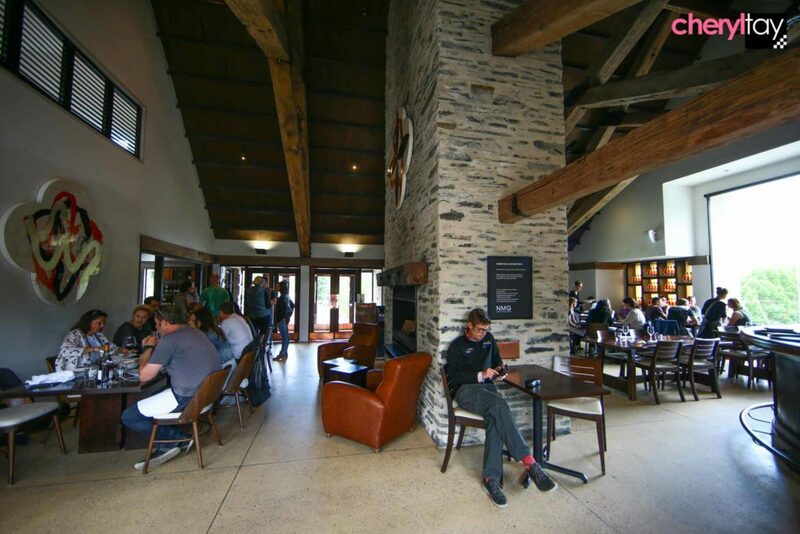 There is only one outlet in the entire world and only in Queenstown. You can go at ungodly hours if you want to beat the queue, because they are open 21 hours a day. Otherwise, you will have to queue for about 45 min to an hour just to get your order. There’s always a line! 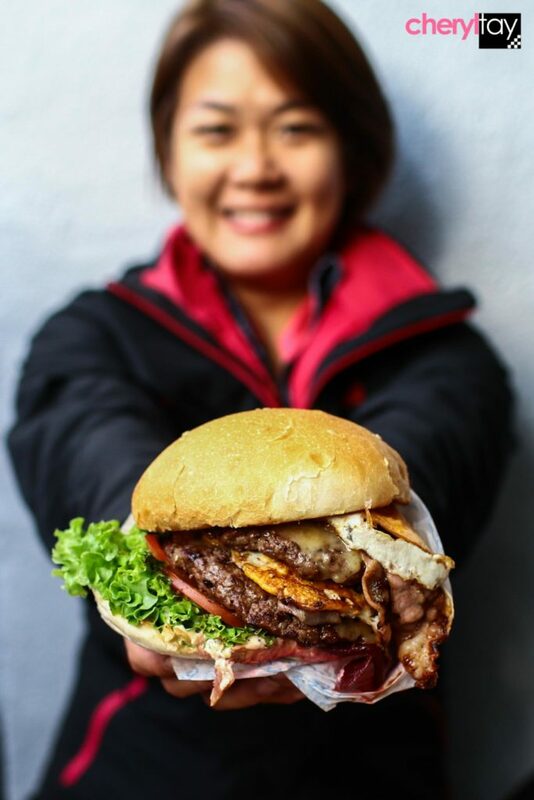 Their signature burger, literally called The Fergburger, costs NZ$11 – certainly not cheap. The one in my photo here is the Big Al that’s NZ$17.50 and it contains double serving of NZ beef, bacon, a lot of cheese, two eggs and all the veggies. Worth the money? Not really. But I’m not a huge burger fan so don’t take my word completely for it! 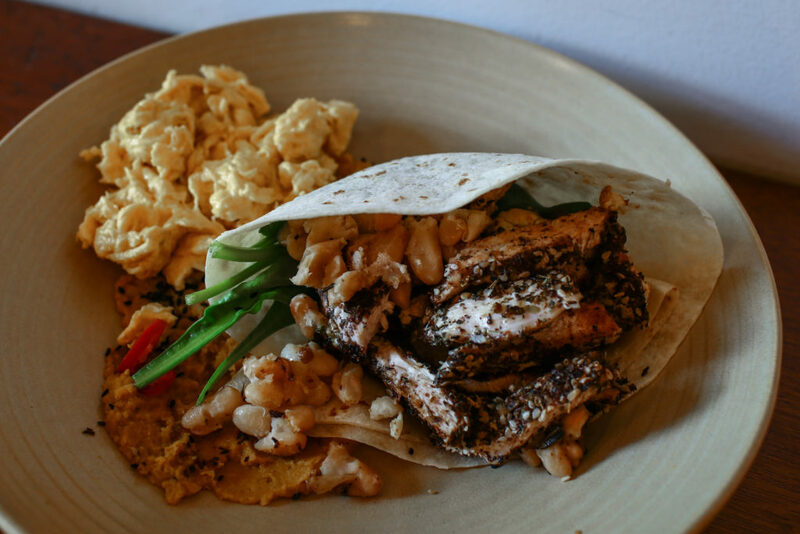 If you like cafe food, try the Vudu Cafe and Larder on Rees Street. 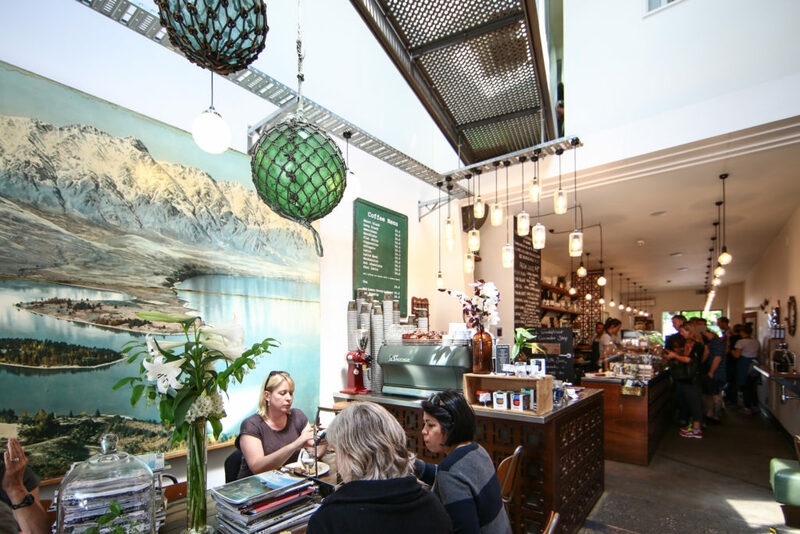 It’s the sister cafe to award-winning Vudu Cafe on Beach Street; this time accompanied with lakefront views on top of the cafe’s unique vintage industrial décor. 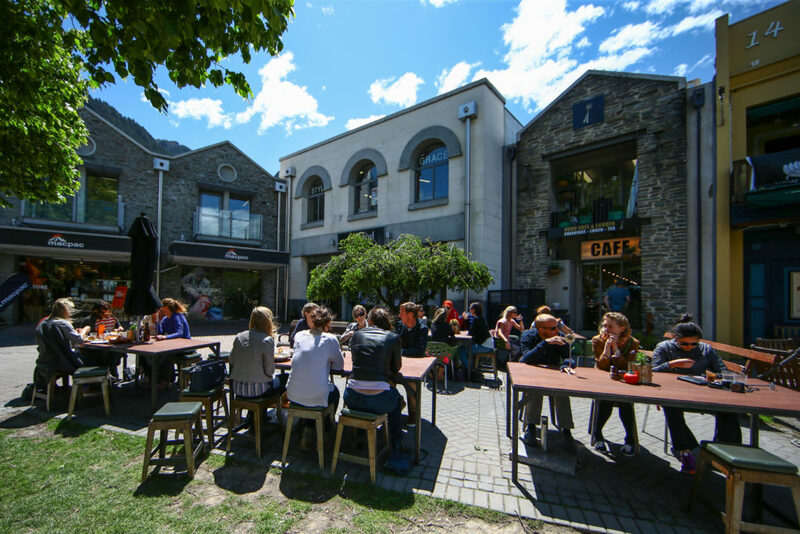 If you are feeling adventurous, you can drive to Arrowtown a historic former gold mining town or go for Trust the Chef‘, the shared dining experience at Amisfield Winery Bistro. 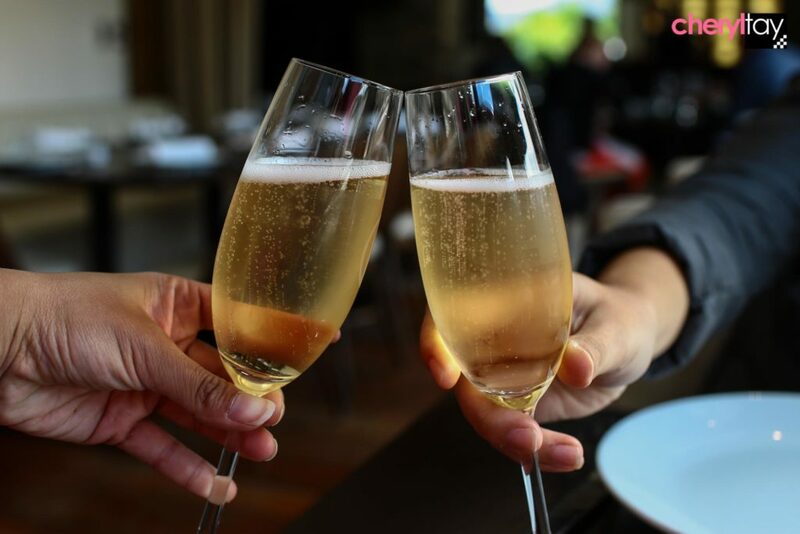 Basically you have no idea what’s on the menu and it’s up to the chef who will prepare a selection of dishes for you with the freshest ingredients available that day, paired with wine. 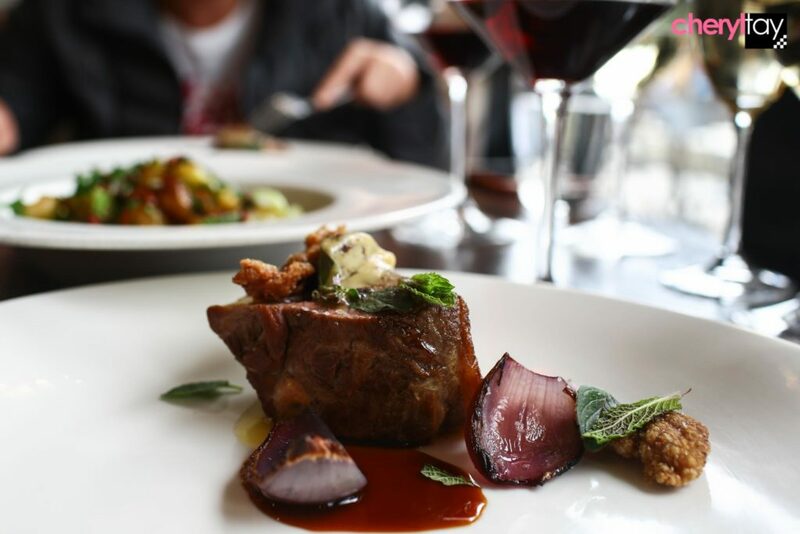 The Amisfield Wine Company is a specialist producer of Pinot Noir, aromatic whites and Methode Traditionelle wines, thus you can expect solid wine pairing menus from them. 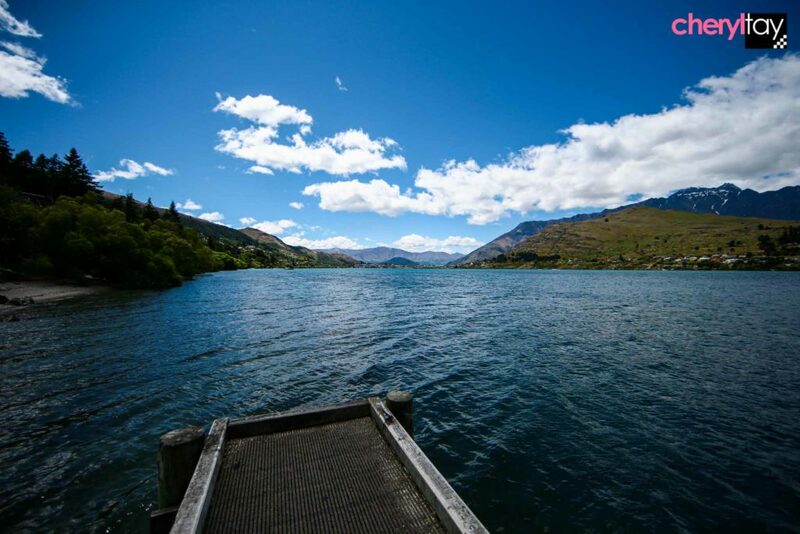 Throughout my stay in Queenstown, I couldn’t stop taking my eyes off the spectacular views of Lake Wakatipu. 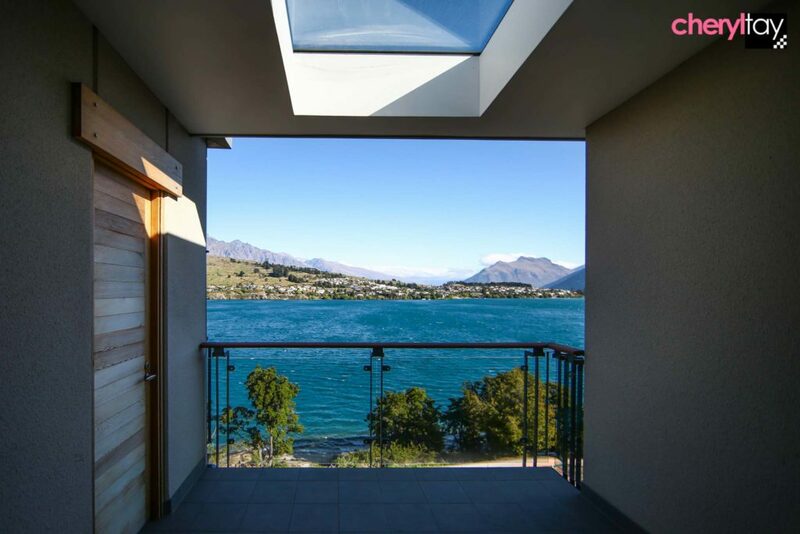 Staying at The Rees Hotel & Luxury Apartments ensured that the beautiful views of the lake are the first thing I wake up to each morning, as it is located right on the shores of Lake Wakatipu. 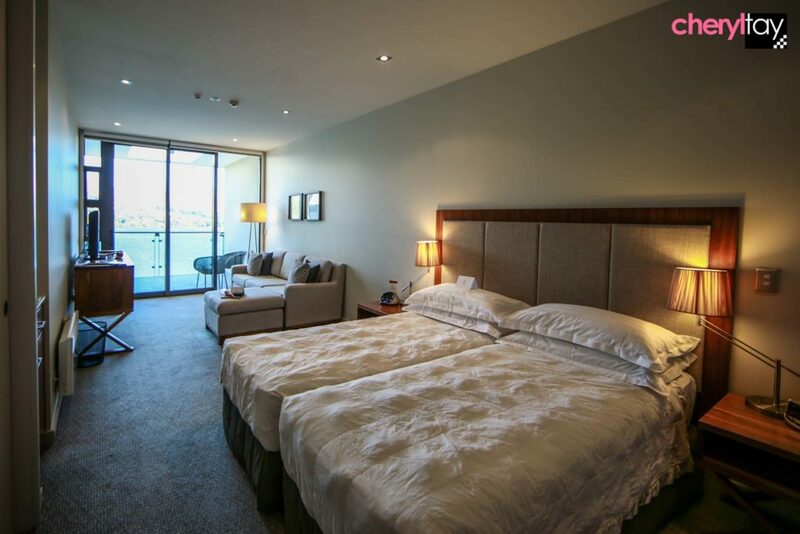 All 60 hotel rooms and 90 luxurious apartments have private balconies where you can get an overdosage of the spectacular lake and alpine views. 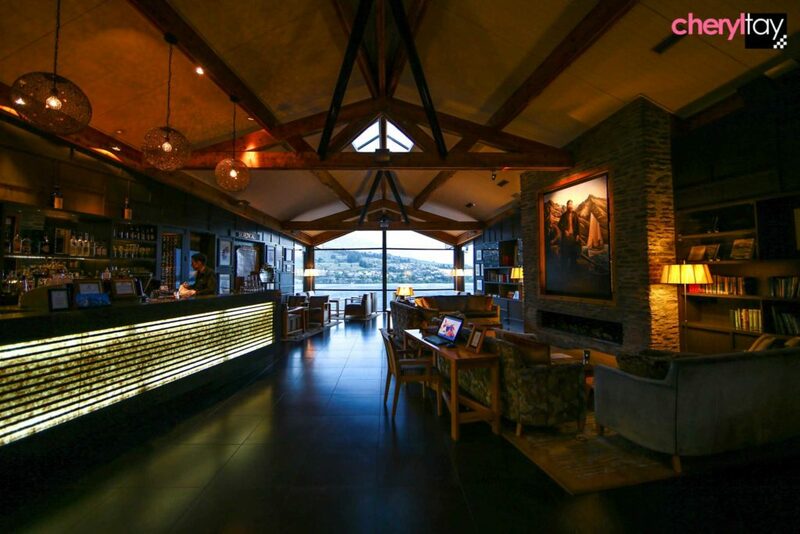 The Rees also has a fine dining restaurant, an extensive wine cellar, a gymnasium, an observatory and a private jetty. 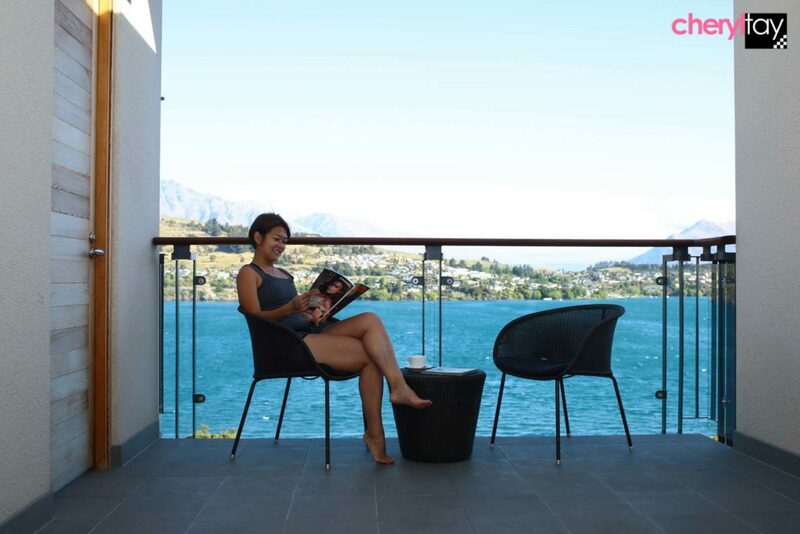 Sitting atop a small hill at central Queenstown, Hotel St Moritz is another hotel that gives pretty mountain views from its rooms. 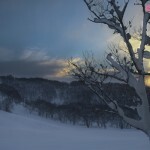 It’s just a short five-minute walk up a small hill (I hope you don’t have to drag your luggage up the slope!) from the heart of the city. A member of the MGallery Collection by Accor, St Moritz has its unique charm and the rooms also come with little balconies that you can admire the views from. 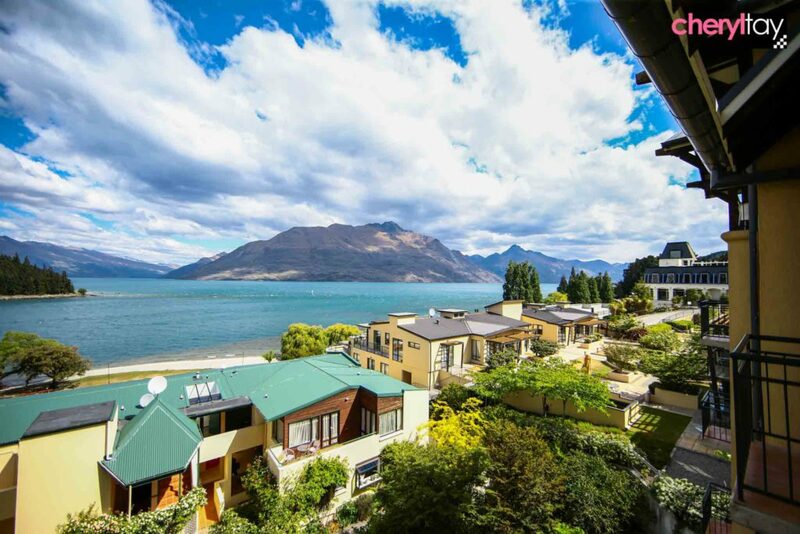 Queenstown is such an active town and I will definitely want to go back again, perhaps for skiing and snowboarding in the winter. 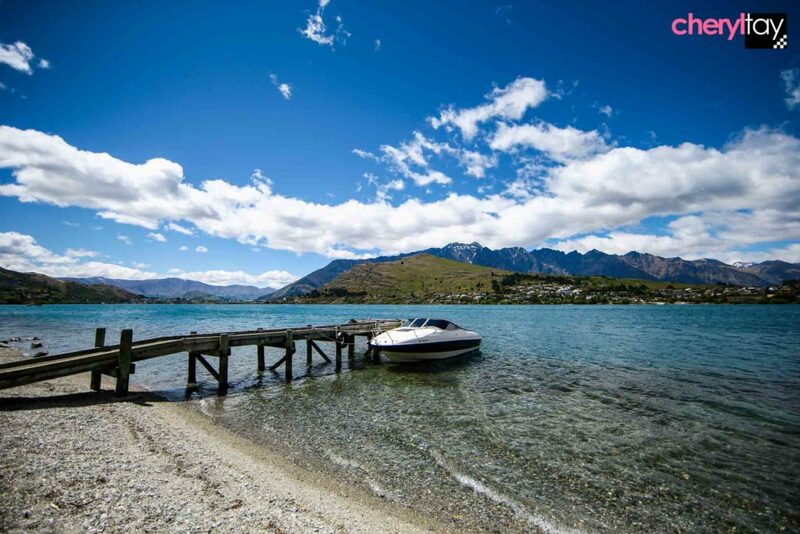 My next stop was Wanaka, just an hour and a half’s drive from Queenstown. There are a few ways to get there, but the most scenic would be to take the Crown Range road route.